Eberhardt & Hale, LLP is an energetic law firm which emphasizes personal commitment to, and interaction with, its clients. The firm's practice areas focus on General Civil Litigation, Serious Personal Injury Litigation, Medical Malpractice, Business Litigation, Criminal Trial Practice - State and Federal, DUIs and Traffic, Real Estate, Business Transactions, General Business Matters, and Estate Administration. We have offices in Athens and Colbert so that we can provide convenient services to our clients throughout Northeast Georgia. We are strongly committed to the well-being and best interests of our clients. 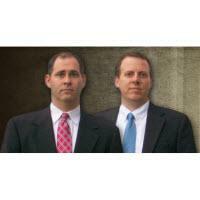 Our attorneys are highly skilled and are devoted to providing top-notch legal services. We believe the personal attention our clients receive from our attorneys defines our success and, ultimately, maximizes the client's potential for success in their specific legal matter. Eberhardt & Hale is an approved title company for Lawyers Title Insurance Corporation and First American Title Insurance Company. M. Eric Eberhardt and William L. Hale, seeing the opportunity for a new dynamic and energetic law firm in Athens, formed their practice in November 2002. Prior to the firm's formation, Mr. Eberhardt was a partner with a local litigation firm and Mr. Hale was a real estate attorney for a separate Athens law firm. Mr. Eberhardt and Mr. Hale had previously worked together as state prosecutors and recognized they had the combination of skills to develop a practice that would benefit themselves, their families, clients, and community. Eberhardt & Hale opened its first office at 1150 South Milledge Avenue, Athens on November 1, 2002. In 2004, while maintaining their main office on South Milledge Avenue, Eberhardt & Hale, LLP has expanded to open a second office at 46 South Fourth Street, Colbert.